The Farmstead Conference Center in Shipshewana, Indiana offers a gorgeous setting with excellent amenities for business meetings, corporate retreats, fundraisers, dinners, quilt retreats, scrapbooking retreats, weddings, reunions, church groups or parties. 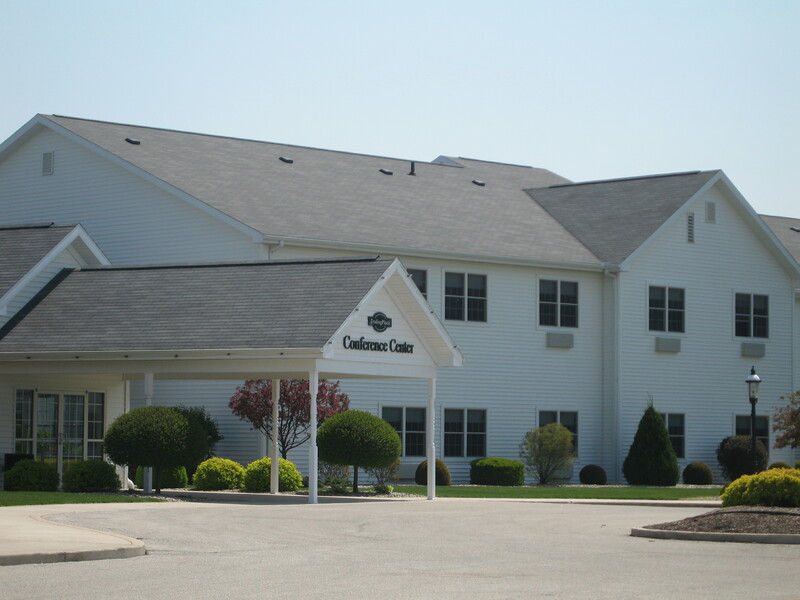 Located in beautiful and relaxing Amish country, the Farmstead Conference Center is directly across the street from the Shipshewana Auction & Flea Market and within walking distance to downtown shopping, restaurants and theatre. A variety of types and sizes of conference space is available to fit your event's size and budget. Other Shipshewana Event Venue Options: Farmstead Expo Barn, Farmstead Event Pavilion, Shipshewana Auction Misc. & Antique Building, and Auction Restaurant. Want a quote or a tour? Contact Elaine for conference center availability and rates. 260-768-4595, groups@farmsteadinn.com.